Gangadean, Ashok. "Meditation, metaphor and meaning." 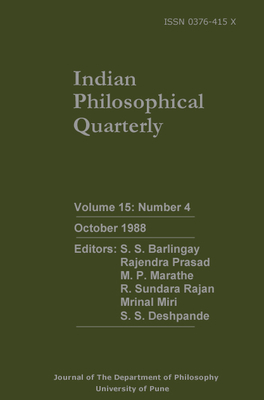 Indian Philosophical Quarterly 15 (1988): 425-50.